Did your tastebuds tingle when you heard the name of this credit card? If so, you're in the right review. The Capital One® Savor® Cash Rewards Credit Card is a dream come true for foodies and their comrades who enjoy a night out on the town. Its rewards are not limited to restaurants. Rather, dining and entertainment venues are included. There are even special, cardmember-only entertainment events such as concerts, meet-and-greets, and sporting events. One of the most obvious benefits is the $500, one-time cash-back reward the Capital One® Savor® Cash Rewards Credit Card offers after you spend $3,000 on purchases in the first three months of your account being open. That reward is enough to cover at least a few meals out with friends! On top of that initial reward, Capital One® Savor® Cash Rewards Credit Card members earn 4 percent back on dining and entertainment, 2 percent back on grocery purchases, and 1 percent back on everything else. Did we mention access to special events such as a family-style meal and mingling with Neil Patrick Harris and David Burtka? Use your Capital One® Savor® Cash Rewards Credit Card to purchase your tickets to this cardmember-only event and you can enjoy that evening knowing you're earning 4 percent cash back just to brush shoulders with an amazing couple and enjoy a delicious meal. You also earn 2 percent back on your grocery store purchases and 1 percent on all your other purchases. There's no cap on what you can earn and rewards won't expire for the life of the account. Feel free to take this card on your next global food tour – you won't be charged foreign transaction fees. There's a lot to like about this card; but if food isn't really a top spending category for you, you'll miss out on the top rewards. Simmering succotash, do we love this card! Not only do you earn $500 cold, hard cash back after spending just $3,000 in your first three months as a new cardholder, you also get rewarded for eating delicious food. It doesn't get any better than that. So many cards these days are targeted toward traveling in general -- hotel discounts, airfare discounts, rental car discounts -- but what's the one thing everyone has to do every day to survive? Eat! With the Capital One® Savor® Cash Rewards Credit Card, cardmembers can enjoy meals at dining establishments, a night out of entertainment, or a smorgasbord in their own home -- all with 4 percent or 2 percent cash back. As is the case with most Capital One credit cards, cash back won't expire for the life of the account. Oh, and did we mention the complementary concierge service? Cardmembers get personalized assistance in dining, entertainment, and travel -- 24 hours a day, 365 days a year. With service like this, how can you help but feel you're the creme de la creme? The Capital One® Savor® Cash Rewards Credit Card, though chock-full of benefits and bonus rewards, won't be beneficial if you're not someone who plans their day and vacations around the best food and drink in the area. If you long for mouth-watering meals and an accompanying libation, you won't be disappointed with your return. If, however, you're OK eating at the local chain restaurant, this card probably won't reap the benefits you're anticipating. Also, with this card, there are no rotating categories, so you need to be confident that the 1 percent cash back on general purchases will be enough to keep you motivated to use the card and stay in the black. Although there is a $95 annual fee, it is waived the first year -- but you have to calculate if the future $95 is worth the savings you'll have from the cash back rewards. 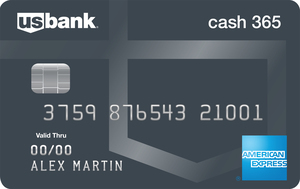 The U.S. Bank Cash+™ Visa Signature® Card touts flexibility and possibility through its program that allows cardmembers to choose their cash-back categories. Members choose two categories for a 5 percent return on up to $2,000 in eligible net purchases. A third category will yield 2 percent cash back, with all other purchases earning 1 percent cash back. This system varies from the Capital One set rewards categories, but will reap the benefits for those whose spending habits are not consistent, or at least not consistently in the food sector. Capital One rewards are redeemed as cash back, while the U.S. Bank card rewards are redeemed as a statement credit, on a rewards card, or as a direct deposit into your U.S. Bank account. The Capital One® Savor® Cash Rewards Credit Card has a fee of $95, but is waived for the first year; the U.S. Bank Cash+™ Visa Signature® Card has no annual fee. When comparing these two cards, both the Capital One® Savor® Cash Rewards Credit Card and the Blue Cash Preferred® Card from American Express hit where it counts: the stomach. While the Capital One® Savor® Cash Rewards Credit Card focuses on dining out, with a 4 percent cash-back reward, the American Express card focuses on grocery shopping, with a 6 percent cash-back reward up to $6,000 per year in purchases. See Rates and Fees. As a new member of each card, you'll earn a cash bonus when you reach a specific purchasing level in the first three months as a cardholder: Capital One will give you $500 when you spend $3,000; American Express will give you a $200 statement credit when you spend $1,000. American Express rewards can be redeemed as statement credits, gift cards, or merchandise. One slight difference between the two cards is a 3 percent cash-back reward on all gas purchases with Blue Cash Preferred® Card from American Express. Both cards charge a $95 annual fee, but the Capital One® Savor® Cash Rewards Credit Card waives the fee for the first year. The Capital One® Savor® Cash Rewards Credit Card offers perks for those cardholders who know what they want and who have a consistent spending pattern. The rewards are simple: tiered cash back on dining out, entertainment, groceries, and other purchases. On the other hand, Chase Freedom® offers rotating quarterly categories with 5 percent back. Cardholders have to remember to activate these categories in order to earn the incentive. 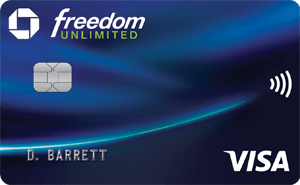 Similar to the Capital One® Savor® Cash Rewards Credit Card, Chase Freedom® also has an introductory rewards offer (though much smaller). New cardholders who spend more than $500 in their first three months of membership, earn $150 cash back as a reward. New Capital One® Savor® Cash Rewards Credit Card holders earn $500 cash back when they spend $3,000 in the first three months of membership. Something else that sets the cards apart includes the annual fees: The Capital One® Savor® Cash Rewards Credit Card has a fee of $95 which is waived for the first year; the Chase Freedom® card has no annual fee. The best applicant for the Capital One® Savor® Cash Rewards Credit Card is a person who loves a good night out with great food and complementary entertainment. This person will also enjoy intimate nights in with family and friends, creating their own culinary masterpieces. International travelers who enjoy a variety of culinary delights will also benefit from this card because of its standard Capital One benefits, including no foreign transaction fees. To see the rates and fees for the Blue Cash Preferred® Card from American Express, please visit the following link: See Rates and Fees.